Kuroko is so kawaii in her Santa outfit! How cute they are! ??? Hoho, Index looks so funny in that suit! Thanks so much for this. What a cute image. Thanks for sharing. 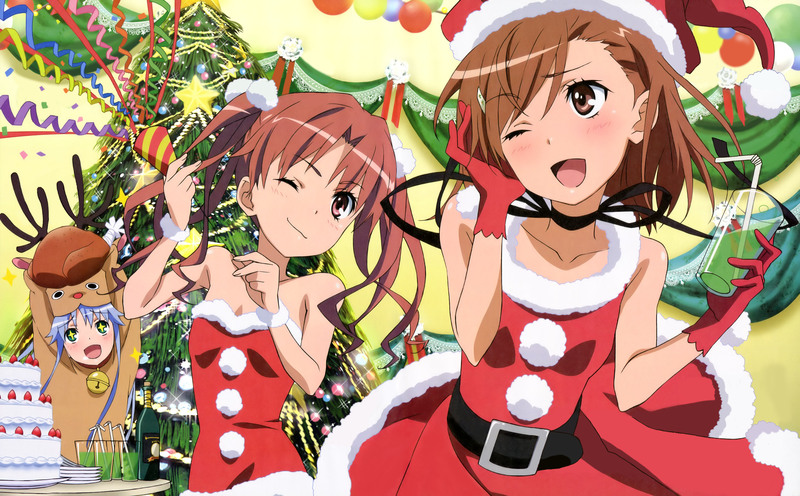 Awesome Christmas scan of Toaru Majutsu no Index and thanks for sharing :). wow! Thanks alot for sharing!